If you have a hydroponic crop then you probably have to measure and monitor the pH and EC of your nutrient solutions. This means taking probes out of storage, ensuring they are calibrated and then carrying out measurements. This process can be very inconvenient, reason why growers might prefer to carry it out less often, even if this means they will have a lot less data. However there are several solutions that can enable constant monitoring of hydroponic nutrient solutions without the need to constantly take out, calibrate and then store away probes. Today we will talk about why regular probes are not suited for this and what types of probes are needed if you want to do this. Usually low quality EC/pH pens cannot be kept within nutrient solutions because they are not built to withstand constant contact with nutrient solutions. This is both due to the electrode composition - the actual glass or metal electrodes not being robust enough - and the actual junctions and other components not withstanding the nutrient solution as well. Although hydroponic nutrient solutions are not particularly harsh environments - with a slightly acidic pH and moderate ionic strengths - probes for constant monitoring of nutrient solutions must be designed with constant immersion in mind. For constant monitoring of pH in nutrient solution tanks you want a proper submersible electrode assembly like this one. These electrodes are usually mounted on PVC fixtures and can be easily mounted on tanks to provide constant readings for the nutrient solution. 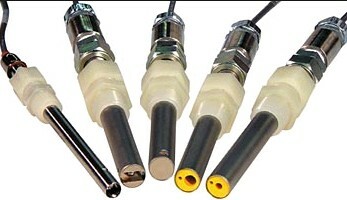 The electrode comes with a standard BNC connector meaning that it is compatible with a wide variety of pH controllers. If you don't want to mount it on the tank but you just want the electrode to be like a normal probe but constantly submerged then you can use something like this industrial probe which comes with a pH controller as well that can be used with any other probes you purchased and interfaces with an arduino or raspberry pi to get and store readings. For probes like this last one I usually wrap the entire outside body of the probe in electrical tape to give further strength to the probe/cable junction. For conductivity readings you will want to go with electrode-less EC probes (like these ones) which over PVC mountings as well with the advantage that they do not suffer from polarization issues - like normal EC pens use - so they lose calibration much more rarely and can give much more accurate readings across a wide range of different solution types and conductivity values. For the grower who wants it all there are also probes like the Mark I-A probe which is a tank-mounted probe assembly that does EC, pH and ORP readings, all in one single fixture. This is incredibly practical since it is able to implement all the readings you need in one single fixture. The problem of course is that calibration of any reading requires you to remove all three sensors so this can be a bit inconvenient when you want to ensure that any of the readings are indeed accurate. 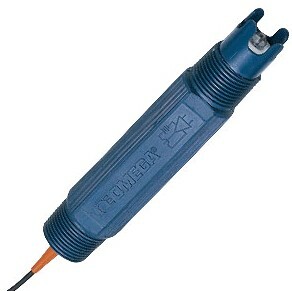 Of course submersible robust probes are more expensive but they are much more convenient. They get damaged much less frequently, require much less maintenance, provide constant readings and need to be calibrated only a few times a year. For example the industrial EC and pH probes I use in my home hydroponic setup have only required calibration once a year, even then the loss in calibration was only around 0.2 units for the pH sensor and 0.3 mS/cm for the EC one so I probably could have continued using the probes without calibrating them for 2 years without having to face any dramatic consequences. If you spend 300-400 USD on high quality robust probes you will probably have them for much longer, with far more accurate results along the way. Did you take temperature swings into account?